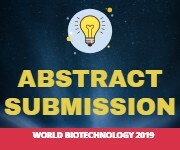 <p style="&quot;text-align:" justify;"="">Pharmaceutical biotechnology is a comparatively new and growing field in which the principles of biotechnology are applied to the designing and production of drugs. Pharmaceutical companies manufacture and market drugs, livestock feed supplements, vitamins, and a host of other products. Consistently, Pharmaceutical companies are one of the most profitable industries in the U.S. with sales exceeding $320 billion per year. 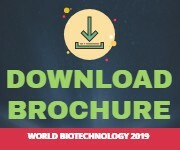 The Biotechnology industry uses modern technologies in genetics research to develop products for human diseases, includes companies engaged in drug discovery and research, production and biologically engineered food production. Biotech opportunities largely mirror those in the pharmaceutical industry yet this industry is still in its’ infancy stage developmentally. A majority of therapeutic drugs in the current market are bioformulations, such as antibodies, nucleic acid products and vaccines. Such bioformulations are developed through several stages that include: understanding the principles involed in health and disease; the fundamental molecular mechanisms governing the function of related biomolecules; production and purification of the molecules; determining the product shelf life, stability, toxicity and immunogenicity; drug delivery systems; patenting; and clinical trials. The future of bio-pharmaceuticals belongs to protein based therapeutics. Designing stable and effective therapeutic proteins requires knowledge of protein structure and the interactions that stabilise the structure necessary for function.